Gourmet Food Merchant located just round the corner from the main drag in Cowaramup is one of those places I can wander and sit. Originally drawn to the dark and moody interior it was only after I ventured inside that I realised I could stock my kitchen with gorgeous ceramics by local West Aussie makers (ahem, yep, my own Gluten Free Scallywag Magazine, ahem, cookbook is stocked there too!) 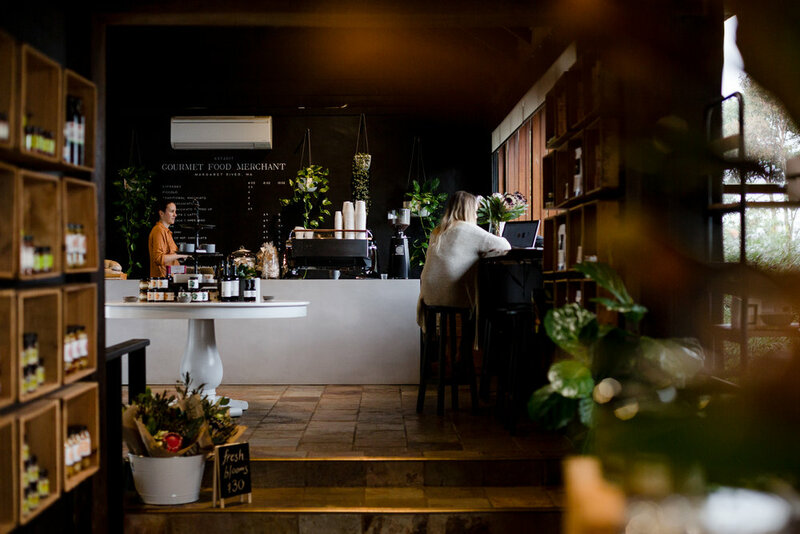 Winterwares, my tabletop with Turner and Turner timber pieces and of course fill my plate with the huge lineup of local South West food producers put together by the owner and creator of this gorgeous space, Caitlin. Coffee while I wander was a must and it's a delicious creamy brew. If you're in Cow-town do pop in. My coeliac tummy appreciates the gluten free Gourmet Wine Crackers range and gnocchi. My 3.5 year old loves the mini gingerbread folk too! This was a wonderful commercial food photography shoot I did in Perth in the lead up to Chirstmas for Princi Butchers. I utilised natural light in the home of one of the owners with their freshly cut meats and roasts laid out on a rustic background for their Christmas catalogue and advertising. Working on this project was wonderful. 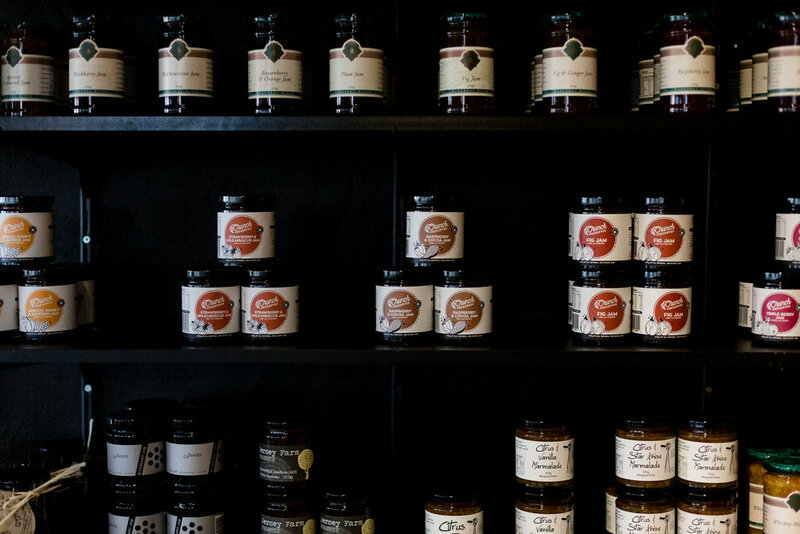 Stocked Foods is a new Perth business started by a busy lady who is full of ideas, I was lucky enough to help her our with the recipe development, branding, photography and website for her new venture and it's been a delicious journey! A selection of kick arse breakfast cereals and a seriously handy gluten free flour mix has made my own Coeliac life a lot easier in the kitchen. Kym was after a mix of natural, blue and gold elements to tie in with the ideas she had already formed for her business and I rolled those elements into each branding photograph with an aim for a clear white background to allow for graphics later on. Super happy with how happy Kym was with the outcome and her market debut in October was a hit. You can check out the Stocked Foods website to order online and for future market dates. Cucina On Hay is a new restaurant (with a gorgeous interior - more on that later) located just East of the Perth Mall and connected to the Mercure Perth. Looking for a fresh, food photography shoot to cover their social and print media needs. 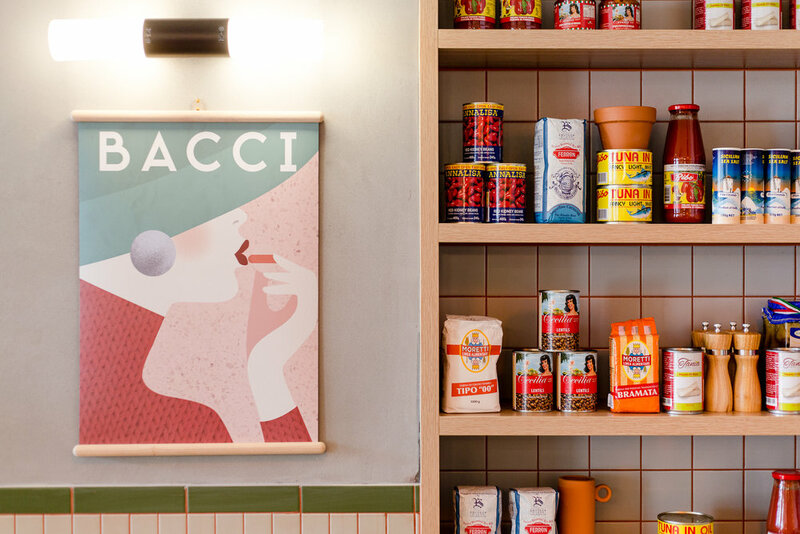 The team at Cucina are all about fresh, delicious modern Italian and there coffee window is just the right thing for a walk by coffee on a busy morning. 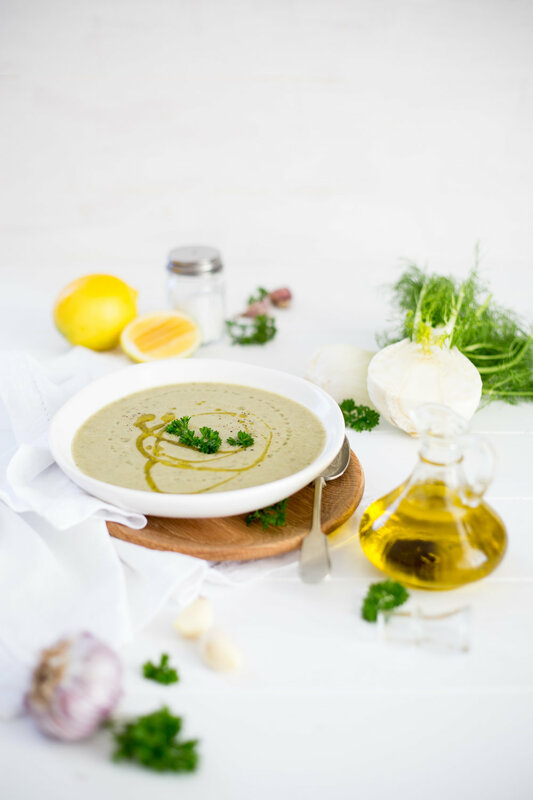 Working with fresh ingredients is one of my favourite things and Jayde's gorgeous soups for Vine St Kitchen made my work so easy (and tasty!). 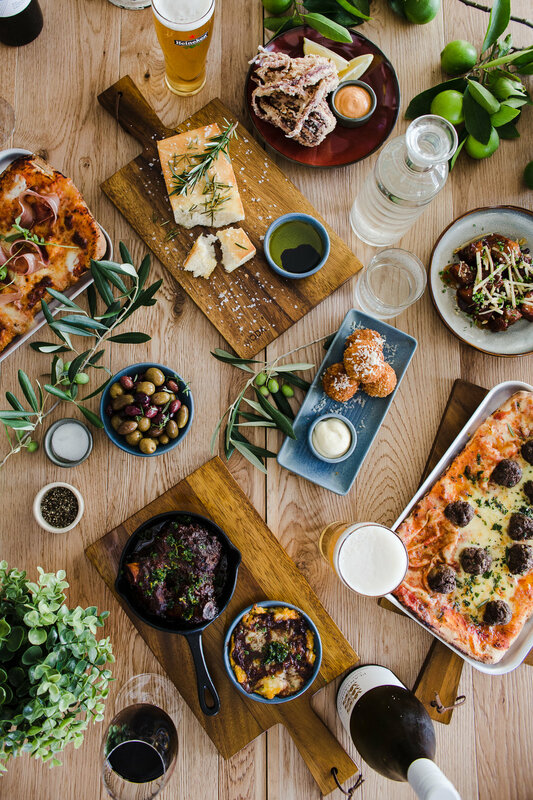 A recent photo shoot of Public House Kitchen + Bar's updated menu. Their flan is to die for, so silky smooth it just melts in your mouth.